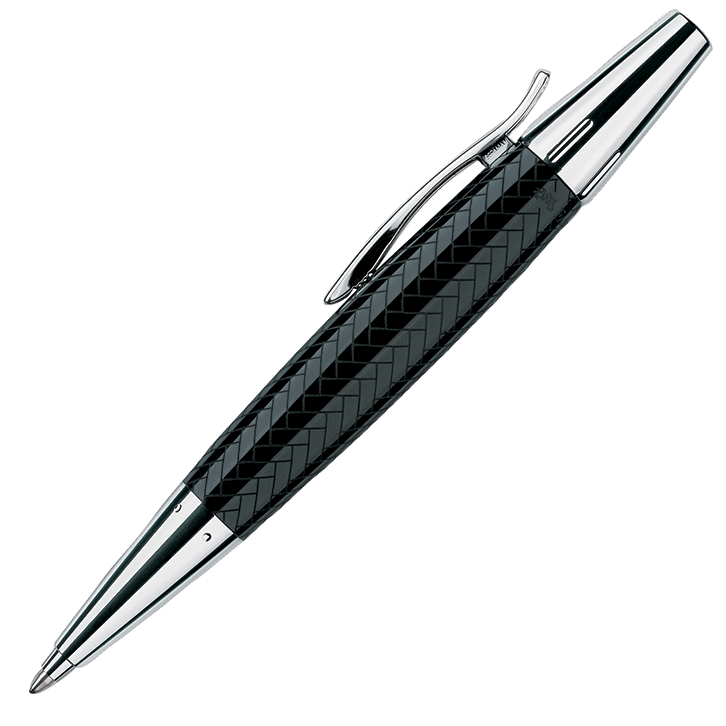 Black Ambition ballpoint pen by Faber-Castell. The barrel is made of brushed ‘precious resin’, a high quality synthetic material, and this contrasts to good effect with the gleaming chrome-plated nose and end piece. The pens are fitted with a solid metal spring clip to hold them safely in one’s pocket. The ballpen has a twist cap to extend the point and is equipped with a black refill, line width B. 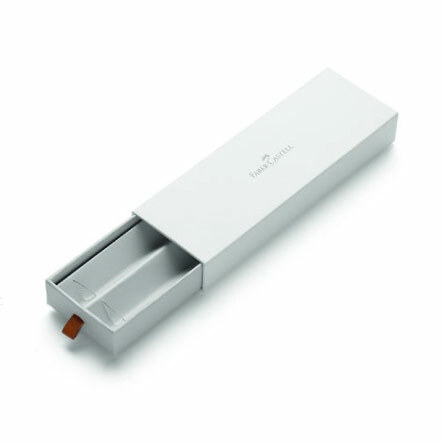 Supplied with an attractive, high quality gift box by Faber-Castell. 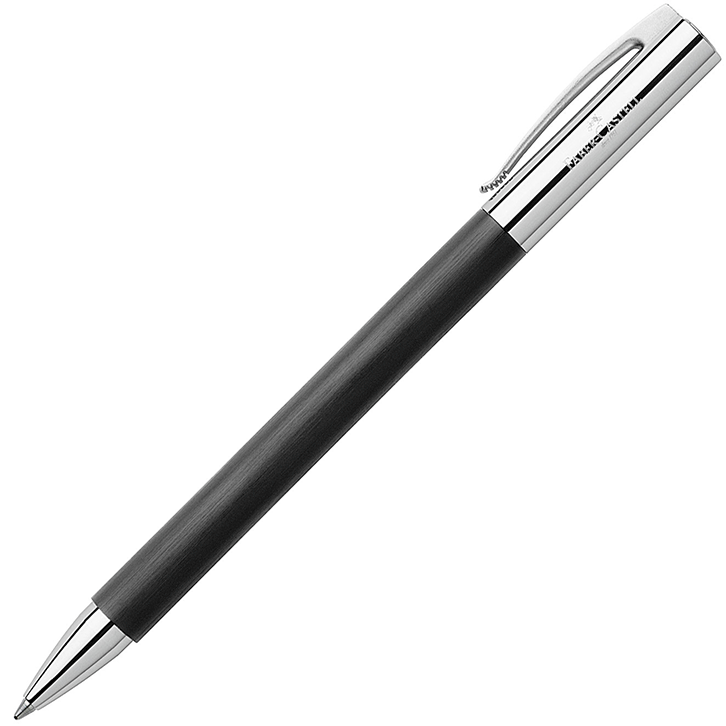 Black Ambition ballpoint pen by Faber-Castell.One cannot fail to be impressed by their clear lines and carefully selected materials: the black barrel made of brushed synthetic material contrasts to good effect with the gleaming chrome-plated nose and end piece. 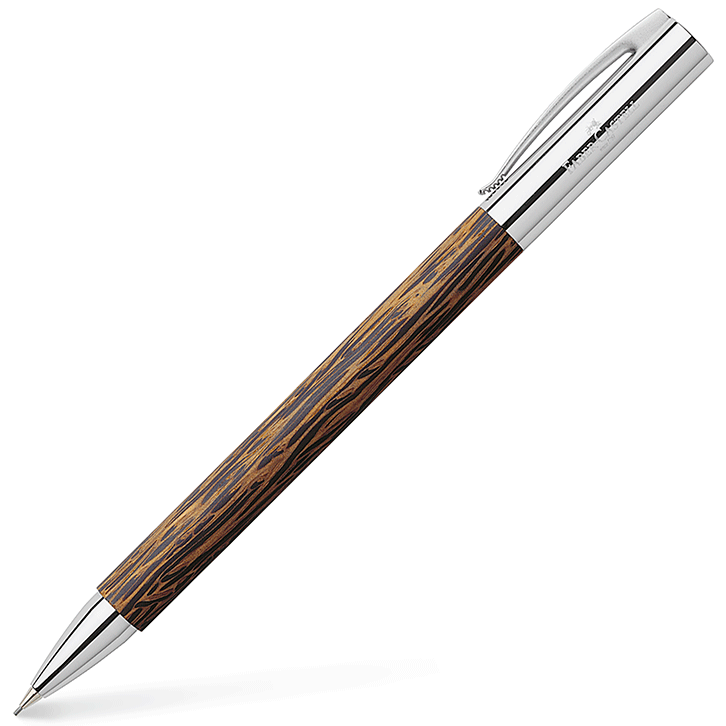 The pens are fitted with a solid metal spring clip to hold them safely in one’s pocket. The ballpoint pen has a twist cap to extend the point and is equipped with a black refill, line width B.